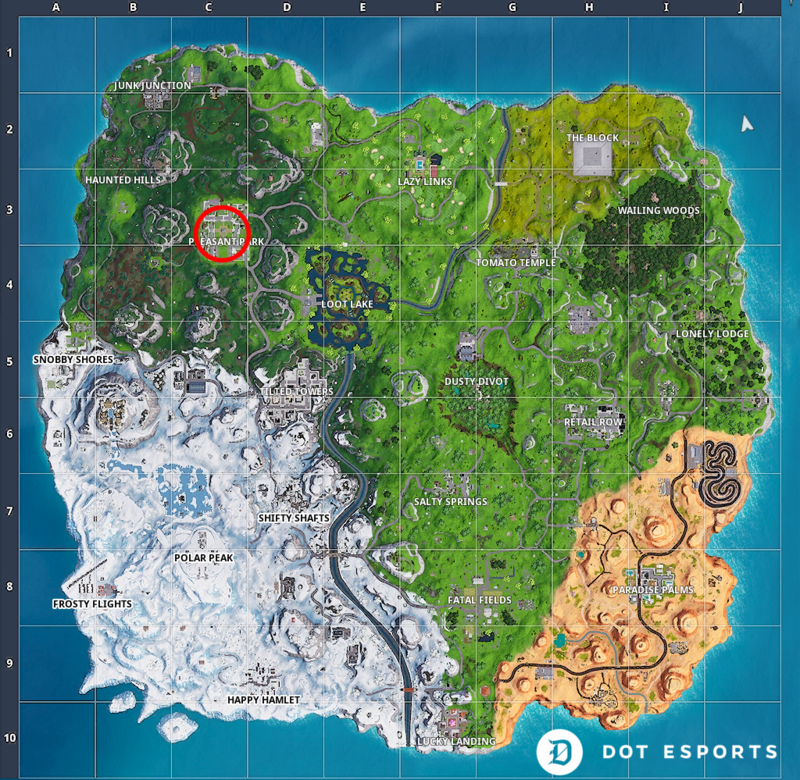 Marshmello’s Fortnite: Battle Royale event is underway, asking players to complete a series of challenges to unlock some exclusive in-game items. 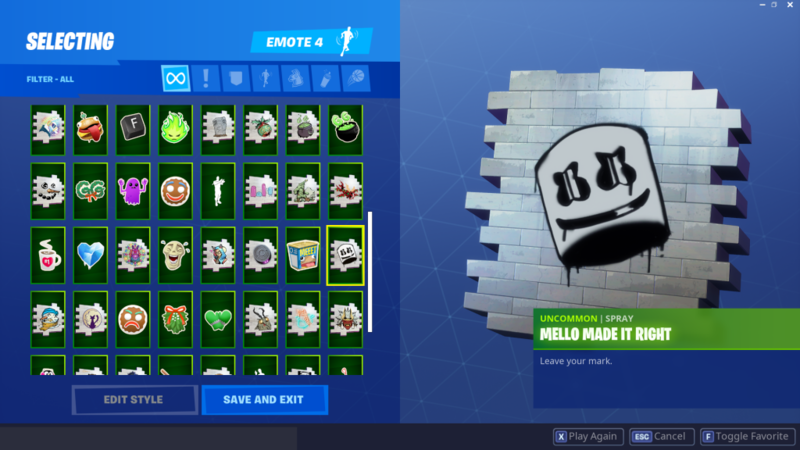 The first challenge wants you to “Search a Showtime Poster” and find just one and search it to unlock a Marshmello spray for your character. But where is this poster? The poster can actually be found in the center of Pleasant Park, underneath the wooden structure in between all the houses. It’s a large pink and white poster with an anthropomorphic Marshmallow on it. 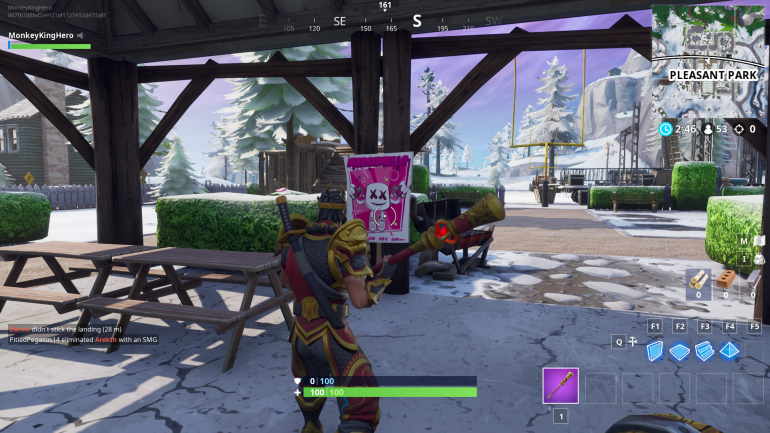 There’s also a poster located at Junk Junction and in other areas of the map, so there are plenty of places to search. 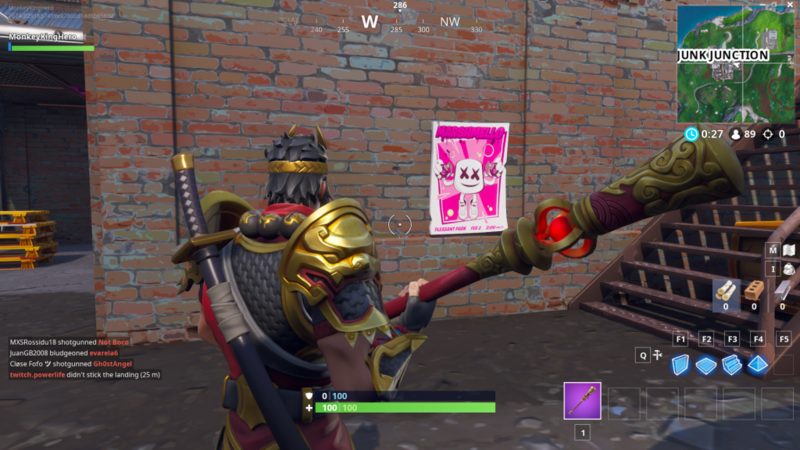 To complete the challenge, all you need to do is go up to a poster and search it as you would a chest or any other item. The challenge will then be complete.